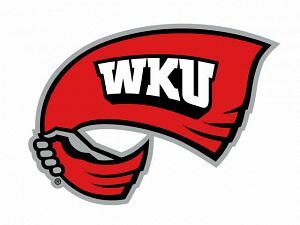 Western Kentucky University was one of two Kentucky schools to earn a series sweep in its opening series of the season. In our second opening weekend review post we’ll look at the Hilltoppers. BGSU no match for Hilltoppers’ offense: Seven different WKU batters hit at least .300 in the opening series of the season, highlighted by senior Matt Rice‘s .538 performance with seven RBI and three runs scored. Outfielders Matt Borgschulte, Jared Andreoli and Ryan Hutchinson each hit over .400 in the series as well. Perhaps influenced by the new NCAA mandated bats, no Hilltopper homered in the series, but the team did tally eight doubles and three triples. Even without the power surge WKU scored 32 runs in the series. Perkins anchors new weekend rotation: WKU had to replace two weekend starting pitchers this season, but sophomore left-handed pitcher Tanner Perkins, who spent parts of 2010 in the weekend rotation, made his case to be the new WKU ace with six shutout innings Friday. Perkins struck out five batters, walked two and surrendered just two hits in the game. Sophomore right-handed pitcher Taylor Haydel struggled in his Saturday start, but senior Brian Edelen, the team’s fourth starting pitcher, recorded three scoreless innings of relief Sunday. Freshmen excel in limited action: Sunday starting pitcher Justin Hageman was the only freshman to see extended playing time on the weekend, but WKU head coach Chris Finwood did let six freshmen make their collegiate debuts. Hageman earned a win in his first collegiate start on Sunday after surrendering three runs in five innings. Freshmen relievers G. J. Strauss and Austin Clay recorded three outs without surrendering a run. At the plate freshman infielder Scott Wilcox was 1-1 in two games, and freshman outfielder David Simmons was 0-1 in one game. Freshman outfielder Jordan Cessna also made his debut as a defensive replacement.